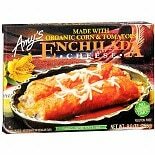 Shop Amy's Frozen Entree Cheese Enchilada (9 oz. )9 oz. 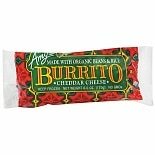 Shop Amy's Frozen Burrito Beans & Rice with Cheddar Cheese (6 oz. )6 oz. 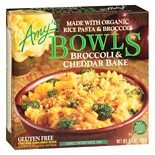 Shop Amy's Bowl Broccoli & Cheddar (9.5 oz. )9.5 oz. 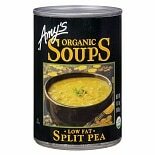 Shop Amy's Organic Soup, Low Fat Split Pea (14.1 oz. )14.1 oz. 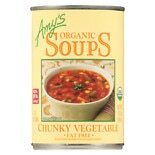 Shop Amy's Soup Chunky Vegetable (14.5 oz. )14.5 oz. 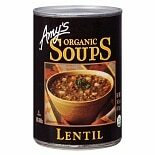 Shop Amy's Organic Soup Lentil (14.5 oz. )14.5 oz. 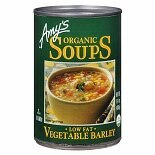 Shop Amy's Organic Soup, Low Fat Vegetable Barley (14.1 oz. )14.1 oz. 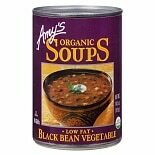 Shop Amy's Organic Soup, Low Fat Black Bean Vegetable (14.5 oz. )14.5 oz.